Bridge Loan Rates from 7% to 12%! 85% LTV Available! Easy qualifying and faster closes! Bridge loans that close fast and can provide the money needed to purchase, the money needed to rehab and the money needed for interest reserves all in one loan and one closing. A bridge loan from DACL and partners can provide all of this and close quickly. Designed with distressed assets in mind DACL Bridge loans are targeted to take advantage of aggressive buys. Use our bridge loan programs to purchase distressed multifamily assets, to finance distressed office buildings or refurbish and rehabilitate apartment buildings. Our bridge loan products are perfect for repositioning of shopping centers and office complexes. Bridge loans are type of interim financing that provides an entrepreneurial edge for those seeking to bring back distressed assets. Bridge loans typically bridge the gap between one type of a situation, circumstance or loan and another situation, circumstance or loan. 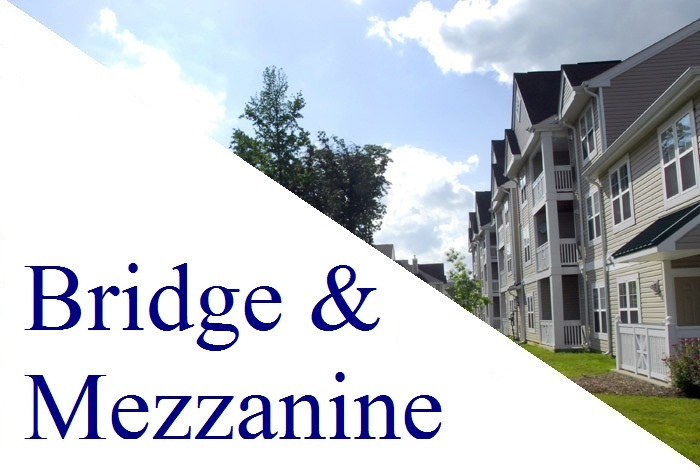 You’ll find bridge loans bridging the gap between distress and stabilization of a multifamily development, office buildings or transitioning neighborhood shopping center. A different type of bridge loan, typically referred to as Mezzanine loans, usually fill a gap. It’s the financing that spans the gap between an owner’s capital input and the loans used as a first mortgage. Regardless of what type of interim financing one needs or whether they refer to it as a Bridge Loan or as Mezzanine Financing, these loans are very beneficial and, when used properly, can help rea estate investors and businesses accomplish their goals when conventional financing alone will not. Up to 85% LTV financing! … up to 100% for TI and Remodel of existing buildings. Rates from 7-12% Interest Only! Available in any major city in the USA including Atlanta, GA; Phoenix, AZ; Las Vegas, NV. Dividend America offers the bridge loans that pay dividends for your real estate investment, business or enterprise! From Atlanta, GA to Phoenix, AZ and all across this nation we help entrepreneurs, investors and businesses by providing bridge loans and mezzanine financing along with other business loans and commercial loans that fit their needs. Bridge loans of all sizes are right here and we stand ready to serve with a commitment of quality and integrity to all of our customers. Bridge Funding for Distressed Assets! Bridge loan experts! Send us your opportunity we are in lending in all 50 states and focusing on bridge loans in the markets and submarkets listed in the S&P Case Shiller Home Price Index and the surrounding secondary markets to those cities. We look for opportunities in: Boston, Chicago, Denver, Las Vegas, Los Angeles, Miami, Fort Lauderdale, Orlando, San Diego, New York, San Francisco, Phoenix, Atlanta, Tampa Bay, Detroit, Minneapolis-Saint Paul, Charlotte, Dallas / Fort Worth, Portland, Seattle, Cleveland, Oklahoma City, Jacksonville, Indianapolis, Nashville, Kansas City, Louisville, Milwaukee, New Orleans, Philadelphia, Raleigh, Sacramento, Salt Lake City, San Antonio, San Jose, Saint Louis, Tucson, Austin, Baltimore.